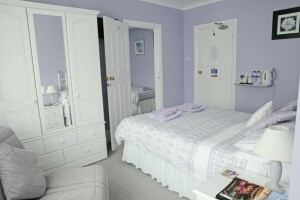 With a great location and easy parking, we are one of the most popular B&B’s in Broadstairs. Three clean, comfortable rooms with one suitable for families. Perfect for your seaside stay. A hearty or healthy breakfast to start your day. From a full English to cereals. Check room availability and book your stay online using our fast, secure system. The place is extremely clean, especially the bathroom which is a delight. Nice cosy, comfortable and spacious room with awesome breakfast. Nice breakfast and comfortable stay. Very much enjoyed. We now have a one bedroom, self-catering holiday let. Please visit the Viking Holiday Let website here.